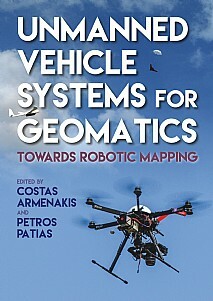 York University geomatics engineering Professor Costas Armenakis adds textbook editor and author to his resumé with the release of the book Unmanned Vehicle Systems for Geomatics: Towards Robotic Mapping. Along with Petros Patias, Armenakis contributed as a co-editor and chapter author to the text, published by Whittles Publishing. the most recent developments in methods, systems and innovative applications. To order a copy, visit the Whittles Publishing website or contact the publisher directly at info@whittlespublishing.com.